For the lone time this season, the University of Utah track and field team competed at home. The Utes hosted day one of the Utah/Weber State Spring Classic at the McCarthey Family Track and Field Complex on Friday April 6. The stormy day was no stopping force for Utah fans. Crowds rallied in the cold, giving energy the team fed on all day long. The team started the day taking on the 3000-meter race. Five Utes competed, with Jessica Sams taking second place. Coming in behind Sams was Trina Moreno in fourth and Emma Christensen in fifth. Astrid Lindgren placed eighth and Shaylen Crooks rounded out the event for the Utes at 10th. Next up, the team competed in the 4×100 meter relay. The Utah team comprised of Raynee Helm Wheelock, Jackie Martin, Madison Landford and Alissa Atisme took first place with a time of 46.13. This time breaks the previous meet record for the event, set in 2014. 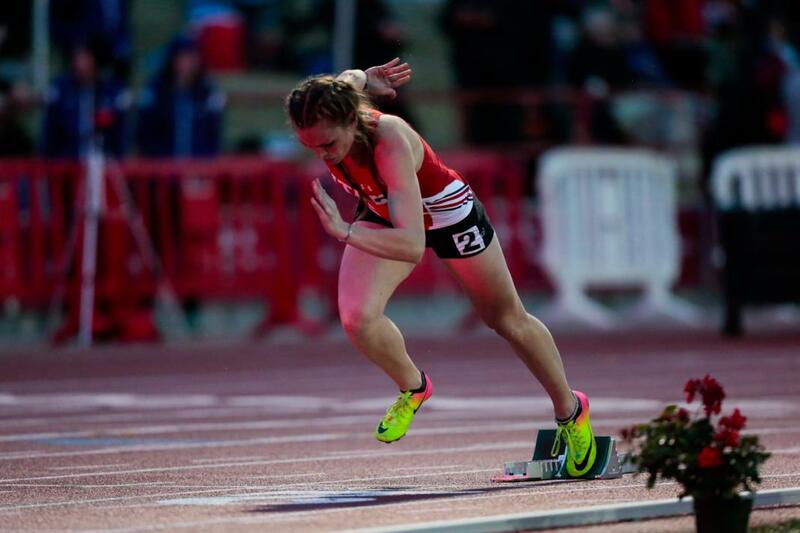 The Utes continued to have solid finishes as they moved to the 800-meter race. The team secured another first-place finish when Sarah Newton ran a time of 2:10.18. Grace Englund finished in third, Sadie Wassum in 17th, Megan Perkins-Killian in 18th and Melissa Taggart who placed 21st. Natalie Platil came in at 23rd and Nicole Griffiths ended for the Utes taking 25th. Later in the evening, four Utes competed in the 400-meter hurdles event. Rachel Whipple led the charge for the Utes as she took ninth place. She was followed by teammates Madison Landford and Ruby Jane Mathewson who took 10th and 11th, respectively. Brooke Martin placed 14th for the Utes. Louise Mercer competed in the 3000-meter steeplechase taking sixth place. Three Utes competed in the 100-meter dash. Atisme won the event with a time of 11.81. Helm Wheelock came in right behind with a time of 12.07. Jackie Martin rounded out the top 10 with a time of 12.43. Along with it being the sole home meet for Utah, the team recognized its 11 seniors who have contributed so much to the program. This senior class, according to Kepler, was a key part of seeing the program grow over the past four to five years, and Atisme said it was special competing in the 100-meter. “I was really excited to run it and it was a little bit sad because it’s my last home meet, but I just wanted to go out with a bang on my last time competing on my home track and I think I did,” Astime said. Overall, Kepler is proud of everyone who was involved with this meet. He says that the way the fans supported the runners helped from beginning to end. “It’s been a great day to be a Ute for sure,” Kepler said. Next weekend, the team will be back on the road to Logan. This time, competing in the Mark Faldmo Invitational hosted by Utah State University. Sammy Mora is currently in her second year of writing for The Daily Utah Chronicle. 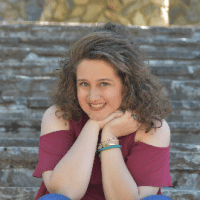 Before writing here, Sammy was a four year staff member of her high school newspaper The Speaking Eagle where she reached the level of sports editor.